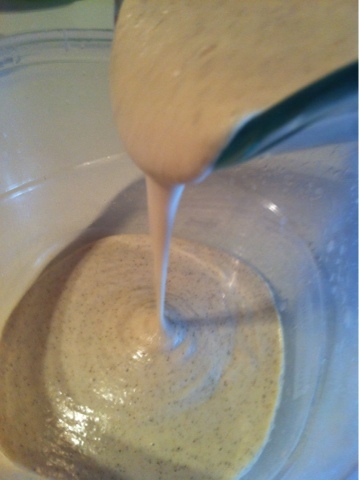 This is one of those recipes I keep coming back to, it's one of my alternatives for whipped cream, a more healthy version and super easy to make, it's chock full of good fats and is so healthy you can eat it for breakfast with fruits of your choice. The kids love it too, just make extra if you plan on sharing because people have a hard time controlling themselves once they taste it. 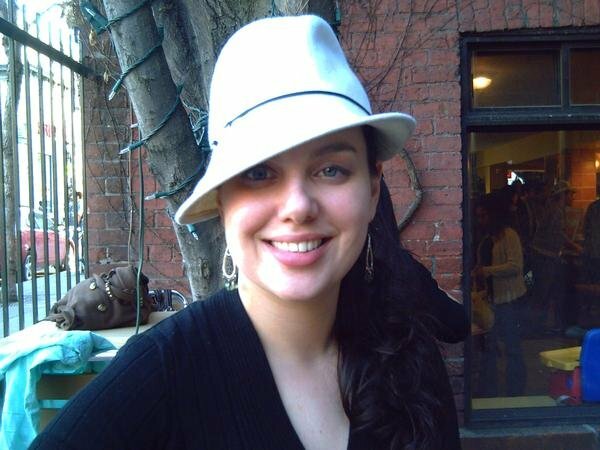 As always, pics follow. 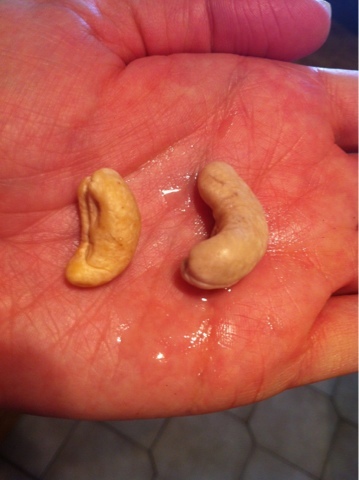 You will notice that I show a pic of a cashew that has not been soaked on the left side of my hand and one after it has been soaked and rinsed. Here's to your health! 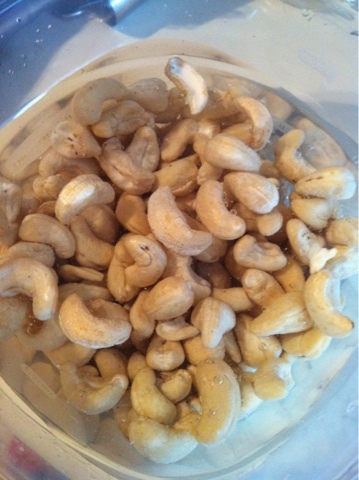 -11/2 C Raw Cashews, soaked in water to cover. 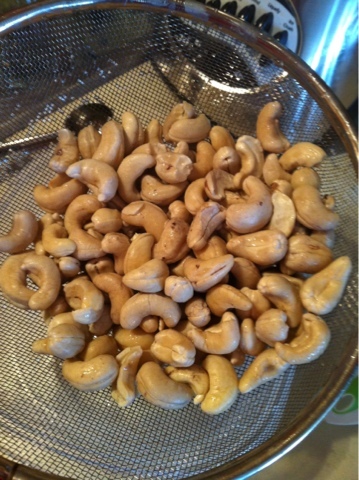 -Soak cashews for 2-4 hours, drain in a strainer and rinse thoroughly. 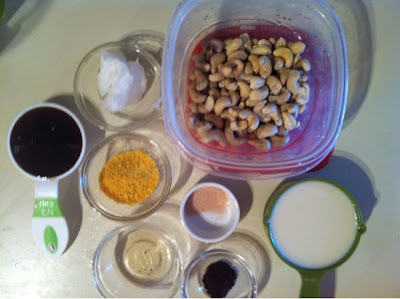 -Put soaked and rinsed cashews in a blender along with all ingredients, except coconut oil and lecithin. 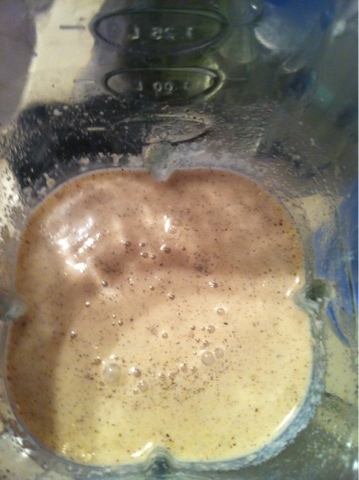 Blend until smooth, will always come out better in a blend-tec or vitamix blender. 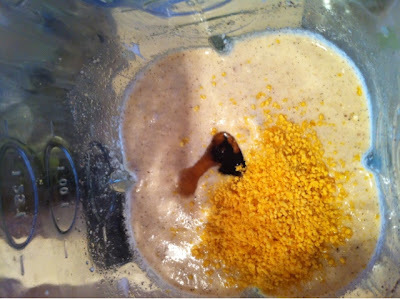 -Taste and adjust sweetness if needed, add coconut oil and lecithin and blend until smooth and well incorporated. 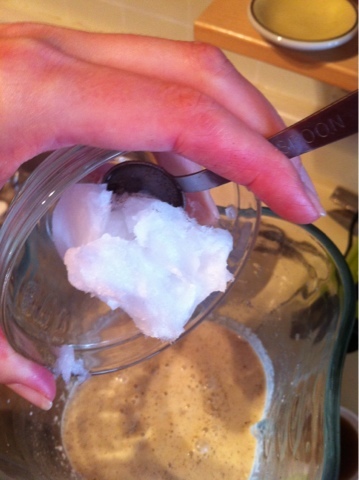 -Pour into container, be sure to scrape container well with a spatula. 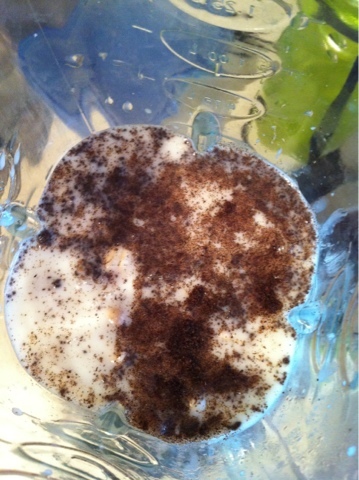 -Chill for 2-3 hours, serve with fresh fruit of choice. 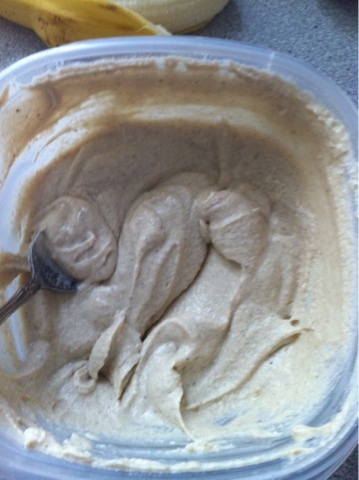 There will be a much more thick and solid texture to the kream once chilled so don't be concerned if it's still runny when you first pour it into the container before chilling. 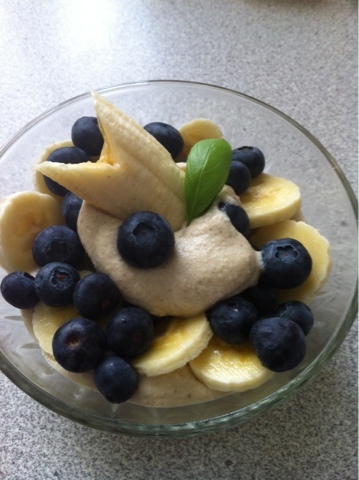 The picture below shows it served with plump blueberries and banana but you can do any fruit combo you like.